We are instrumental in offering genuine quality Spiral Bevel Gear Cutters to the customers. The range of Spiral Bevel Gear Cutters is manufactured using high-grade raw material and by employing latest facilities. These products are widely used to cater to the needs of automobile industries and others. Moreover, these products are widely appreciated by the clients for their efficient performance and durable standards. 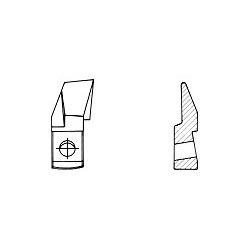 Our range includes Straight Bevel Cutter and Blades and Spiral Bevel Gear Cutters. 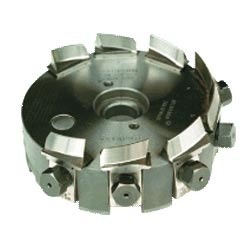 We are engaged in offering Straight Bevel Cutter Blades to the customers at industry leading prices. These Straight Bevel Cutter And Blades are used with Gleason and Heidenreich and Harbeck machines, thus, highly demanded in the market. Moreover, we make available slotting, roughing and finishing cutters to the customers to meet the market demand. We are an eminent name engaged in offering genuine quality range of Spiral Bevel Gear Cutters to the customers. The range of cutters is highly demanded in automobile and various other industries & sectors for its durable standards and perfect design. In addition to this, we make sure that the ordered Spiral Bevel Gear Cutters are timely delivered at the clients' end. Looking for Spiral Bevel Gear Cutters ?